Bonsoir Chérie: Happy Birthday Switzerland! Your Summer is Now. I've celebrated the birthday of my home country at the lakeside with my family and friends. Once more I have to say how grateful I am to live in this wonderful place. The pictures were taken at the Lake Lucerne in Hergiswil. Whoever wants to ask Lucerne, give me a shout and I will be happy to tell you where to go to! For this special occasion I was wearing the Eliros Ladies Date watch from Maurice Lacroix. With the code Summer68 you get a voucher worth 100CHF for the warehouse Manor with your purchase of one of the three watches. You can follow the link to the selection of dreamy watches here. 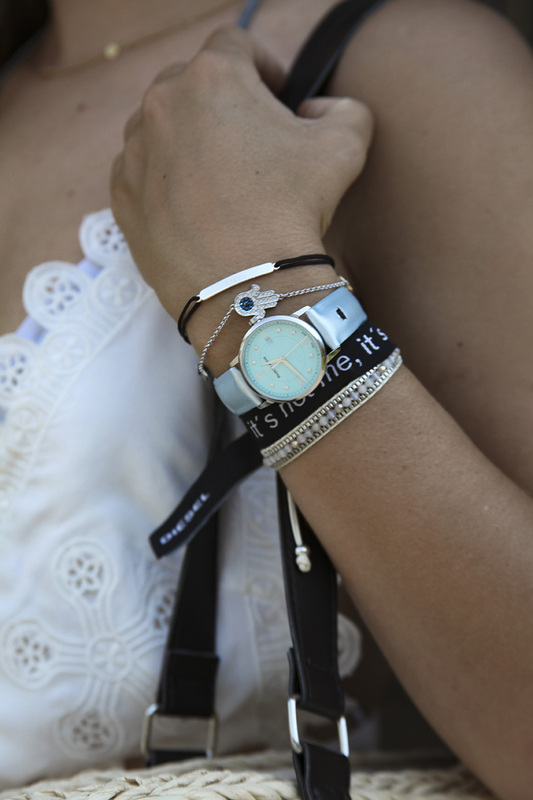 And look for some watch inspiration under #yoursummerisnow!